The following article was written in the summer of 2008. It was a little untimely then, as it was just 39 years since The Allman Brothers Band’s debut release, and still many months before the 40th Anniversary tour. So I’m re-posting for those who missed it. And to commemorate the LP’s release 40 years ago this week. Many years have passed since I heard The Allman Brothers Band 1969 release. So this weekend I gave it a listen. Right from the very first cut “Don’t Want You No More” I was hooked once again. And for the next 35 minutes I took a reflective trip back through time. The Saturday afternoon rehearsals with my brother’s band were no more, and the vibrant household I once knew was now filled with a close stressful silence… For me, I would eventually discover new creative ways to occupy my time, and in the process drive my poor father crazy. At nine years old, I truly knew one thing for sure; music was going to play a big part in my future. It always motivated me and also eased the pain when challenging times struck… When I look back I can think of several albums that have been embedded into my memory banks, and The Allman Brothers Band’s first LP in 1969 is one of them. I also recall pinching my brother’s copy of the album before he left town. It seemed to help fill the void I felt when he moved out of town… So I flooded my new bedroom with the sweetest sounds I could find. I recall how my father thought it was just plain strange that a 9 year old could get so into listening to this stuff. But he never shared a room with a guitar player who practiced these blues and jazz riffs all day and night. It must have been an innate necessity for me. It also helped me focus my nervous energy on something. Besides, somebody had to play some tunes, because the silence was far too deafening. from their 20th Anniversary re-union in 1989, to 1995’s Rock n Roll Hall of Fame induction, 1996’s Grammy Award for Best Rock Instrumental performance for “Jessica,” the band has endured the test of time… In 1999, The Allman Brothers Band celebrated their 30th anniversary with an 18-night stand at New York’s Beacon Theater… The 21st Century also saw Dickie Betts part ways, but still the band continued to perform, playing their special blend of brilliance for their fans and curious newcomers. As a note of interest, in November of 1979 ten years after my first introduction to the music of The Allman Brothers Band, I made this crazy decision to move to New York. When I got there, I stayed with a friend who lived in Park Slope. Several months later my brother moved there too, and we ended up finding an apartment together. A new respect and alliance started to form. And the music continued once again. Now I think it’s best to turn the ball over to the readers of this article. Do you have a favorite Allman Brothers song, album or moment you’d like to share? Where we’re you in 1969 as The Allman Brothers Band were carving their niche on the music world? 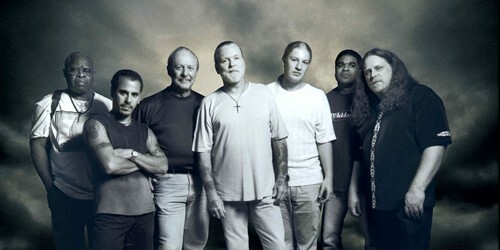 The Allman Brothers Band is one of my all-time favorite bands. I hadn’t heard of them till I joined the Navy in 1975 and was introduced to a whole slew of bands I had never heard of before by my ship mates. Brothers and Sisters would be my favorite album as that is the one that got me hooked on the band although I love them all. I really miss Dickey Betts being in the band and hope that someday they will get back together. Just started reading your blog and really enjoy it. was the length of time on A cut . Dream’s was over ten min. long . Got home put it on and have never been the same since. They set the bar way high for everyone who followed. I’ve had the pleasure of seeing them many times but none compared to the first. In Feb. 1970 At Ohio wesleyan They where 3 hours late because of a snow storm but when they came on stage it was unbelievable . Still to this day It is one of my favorite concerts. Thxs for a great listen. The Allman Brothers are my favorite band. This is TALENT at it’s BEST. As you well know, The Allman Brothers Band is my favorite band of all time. I first saw them in Jackson, MS in 1969 and have followed them closely ever since. Duane, alone, is responsible for my air-guitar playing. Thank you for this great post….and the memories!!! Until i opened your blog, I’d forgotten how much I loved the Allman Brothers. They were the background music to my youth. Like Forrest Gump said, “that’s all I’m going to say about that”. I’ve got what your saying about them being the principle architects of Southern Rock, but now, listening to them, I hear the Blues. oh my god, love these guys, dating myself here, but have the album Live at Fillmore East, ooooooooooh yeah Statesboro blues, and Stormy Monday !!! once again you are the master of Blues!!!!!!!!! The Allmans: the band and its members past and present are a walking, living embodiment of the blues. Are they not? Their backstory, their struggle, rags to riches to rags to riches…to richness. You are right, their road has so many twists and turns (some of them that went clear off the map) it is amazing. What is most amazing to me is that through all of their incarnations, the songs, the music and that Feel still rings true. These guys keep on playing. What else can be thrown at them to stop them from doing so? They have a dedication to the music and the fans love that. It is so damn cliche, but it is true…their road has gone on and on and will continue to do so. I am a 30+ show veteran dating back to the Dreams tour. Too many stories to tell here and now. But I do have a fave album: Eat a Peach. It is a bow-down blend of studio and live cuts that create the one Allman vibe. Plus, it is an album released in the midst of adversity. Sand out live track: “Trouble No More”…a pulsing, driving romp that makes my foot hit the gas harder each time I hear it. Stand out studio track: Ain’t Wastin’ Time No More. A good reminder. I know what ya mean BluesBlogger… I kind of their 1st album(I have to get it again)… but the 1st time I saw them… it was in Sacramento on the “Eat A Peach Tour”… it was great even though it had some sadness to it… a tribute tour for Duane I was told !! Then like you said… lots of bad things going on around that time… Greg’s problem with drugs… courtrooms and the bands manager(I thought) going to prison instead of Greg… there was a lot of bad vibes about that for sure !! But also, like you said… the Allman Brothers Band is still cranking them out… let alone the few hundred songs from their time on top(maybe I exaggerated)… but still worth the time and money to be part of their “live audience”… one more time !! PS. I wish Dickey Betts was still with them… his guitar work “was” the Allman Brothers !! Oh well, maybe someday… thanks BluesBlogger for this post… sure did bring back memories !! WOW– 40 years — I’m not sure what to say I can’t believe that it’s been so long sometimes it seems just like yesterday the music of that time period was so awesome not that I don’t like some of today’s music but it was so meaningful even tho I was so young you could feel the emotions of the world by just turning on the radio and listening to the latest release of a great band I had forgotten what the Allman Brothers almost sounded like until today. Thanks for waking up my senses again and reminding me why I love music–I love your blog and look forward to being excited every week to something I may have forgotten or did not know!!! I think we all had a real sense of our own mortality at such a young age because so many people we had grown to love and listen to were dying, along with VietNam going on and whatever else was happening. Maybe that’s why “living for today” became such a big part of our mentality, there might not be another tomorrow. If we were having a hard time, we didn’t talk about it, we just put on the music and played… full blast. I had this album in high school and “favorite” is a word we always see when people talk about the Allman Brothers. Live at the Fillmore East is probably my “all time,” loved their first album, and Eat a Peach… but I like them now with Warren Haynes and Derek Trucks too. Allman Brothers always will be one of my top favorites because THEY ROCK. And so do we. I still listen to them. Thanks for the clips, story and memories… really brings them back. Great blog. I saw their first show at Fillmore East they opened then, Love I think it was, then The Grateful Dead doing Working Man’s Dead their new LP..Mostly…What a show that was I was already familiar with the Allman Bros. and Daune’s session work had their LP, but for many it was the first time they’d seen or heard of them, and they were needless to say blown away by this new band..The Allman Bros..! It blows the mind to imagine what it would have evolved into, had Duane lived. The magic between Duane and Dickey, plus the ever maturing vocals of Gregg. They are still my all time favorite band and I still get lost in the Live at the Fillmore Concerts. I will be hitting up most of these shows, Ill try to get a review in, great piece!